The M26 Pershing is one of my favorite tanks of all time. The M26 was a heavy tank that served just at the end of WW2. It also served in the Korean war. 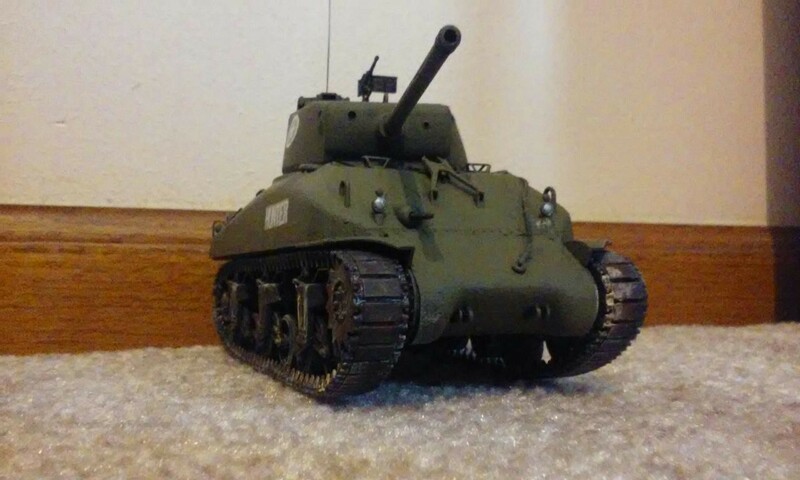 Since it is one of my favorite tanks, I wanted to build a model of it. There are a couple of choice’s to choose from, as far as kit manufacturers go. 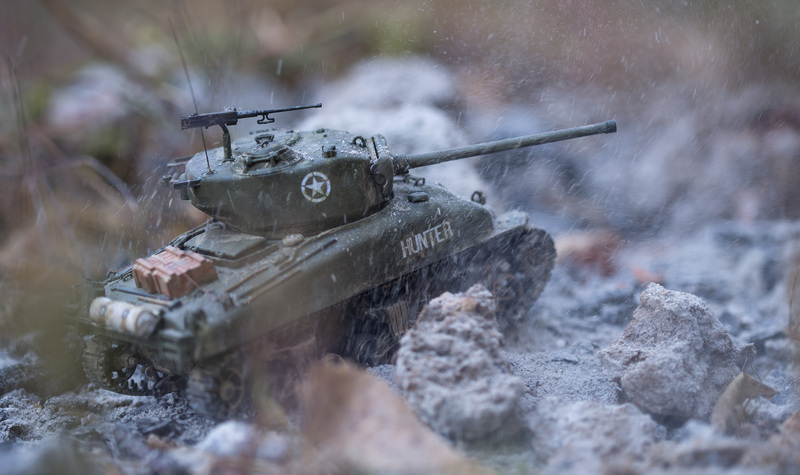 I chose the Tamiya kit (http://tamiya.com/) because it had good ratings and a good level of detail. I am sad to say that I can’t provide you with any pictures of the building process, because my camera can’t capture very much detail. But, I will be able to post some pictures of the finished model in a few days. As far as building, the kit went together really well, and looks great in my opinion. 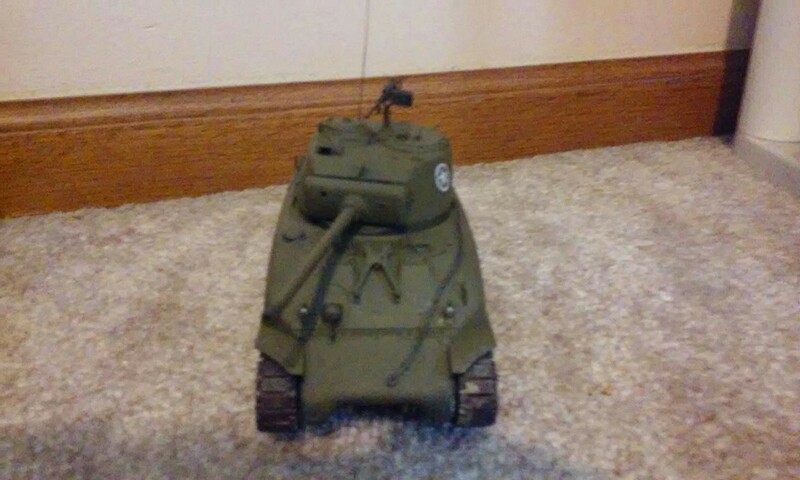 Since no pictures of my own model are ready, here are some pictures of the real tank. This entry was posted in Uncategorized on December 3, 2015 by zkwh. 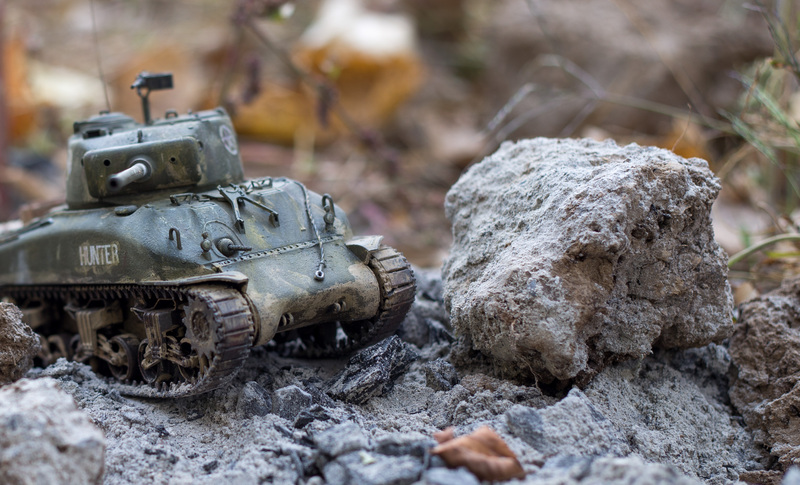 In the last blog post that I did I talked about the M4 Sherman model kit that I built. But it wasn’t quite finished, because I hadn’t weathered it much yet, also I realized the pictures of my model weren’t very good quality, because my camera is really old and doesn’t take very good pictures. So I decided to call in the “Big Guns” aka my older sister who is a professional photographer (shannonruthphtography.com) and a really great sister! We did a little photo shoot and here are the results. I weathered the tank with Vallejo acrylics, pigments, and washes. For the debris in some of the pictures I would throw dust and dirt, and let the wind blow it in front of my sisters camera. My sister featured my tank in one of her blog posts, so be sure to click on the link above. This entry was posted in Uncategorized on November 5, 2015 by zkwh. And lately I have been reading through my stash of Fine Scale Modeler magazines (Finescalemodeler.com) and have really wanted to build a kit. 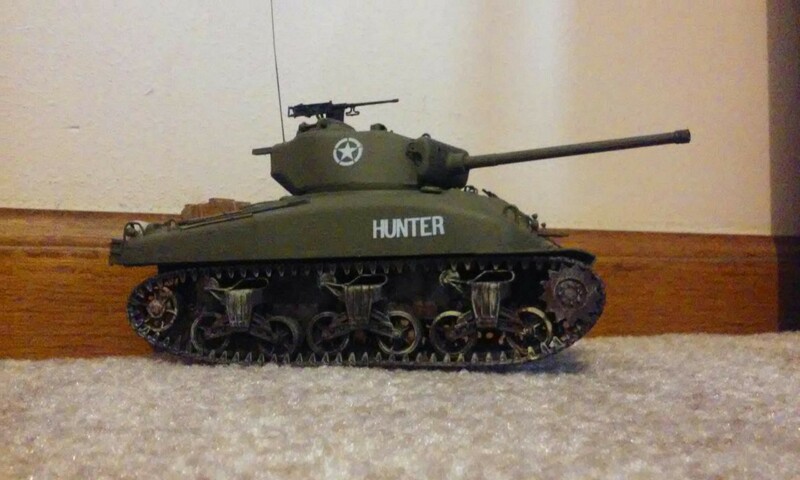 So, when I was browsing my local hobby store I noticed something on the shelf that really caught my eye, it was a new kit that they got in, and it said on the box that it was actually modeled after the M4 Sherman on World of Tanks! That got me pretty excited! I ended up buying the kit that day, and bringing it home to start building! The kit was made by a well known kit manufacturer called: Italeri. (Italeri.com) I am not a very experienced model builder so it may not look to good in the eyes of a professional modeler, but I got out the glue and tackled the project, the first thing that I did was use a technique that I heard about in a Fine Scale Modeler magazine, the technique is called: stipling. 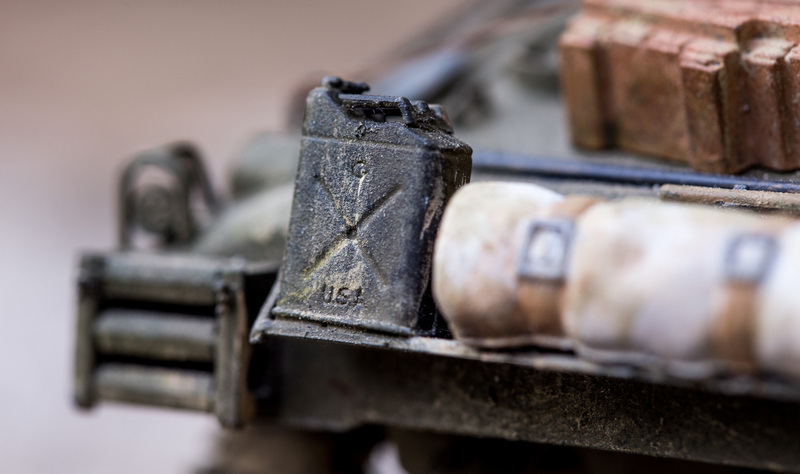 What you do is use plastic cement to soften the plastic of the kit, and then jab a stiff brush into the softened plastic to get the effect of the rough cast texture that was apparent on the real M4’s. 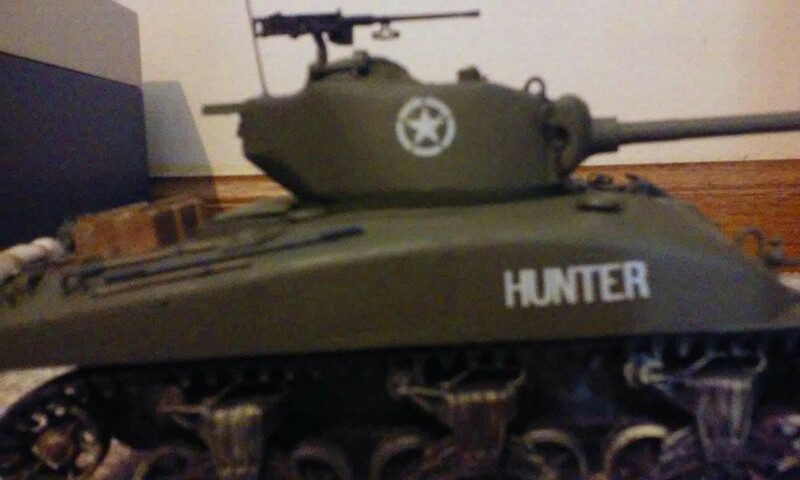 I painted the whole tank (except the tracks) with a base coat of flat black spray paint, after that was dry I painted it all olive drab. for the tracks I just painted them with black acrylic paint, and put them on the tank, once the tracks were on I applied a few washes and colors to the whole suspension. For the stowage on the tank I used acrylic paint. 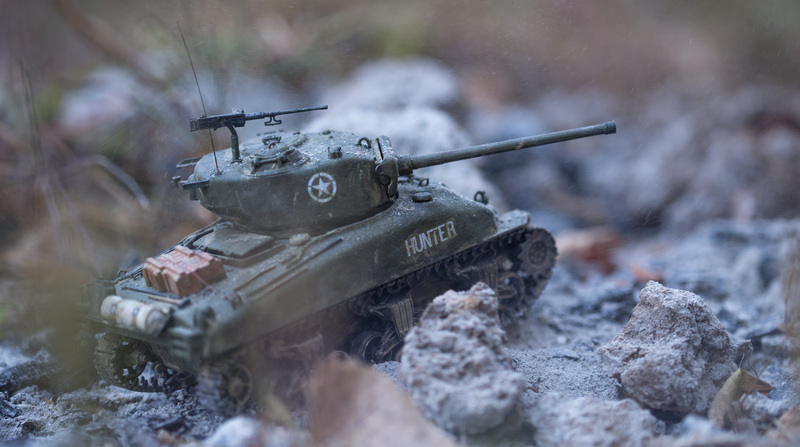 Here are a few pictures of my 1/35 scale model, ready for weathering! This entry was posted in Uncategorized on October 26, 2015 by zkwh. 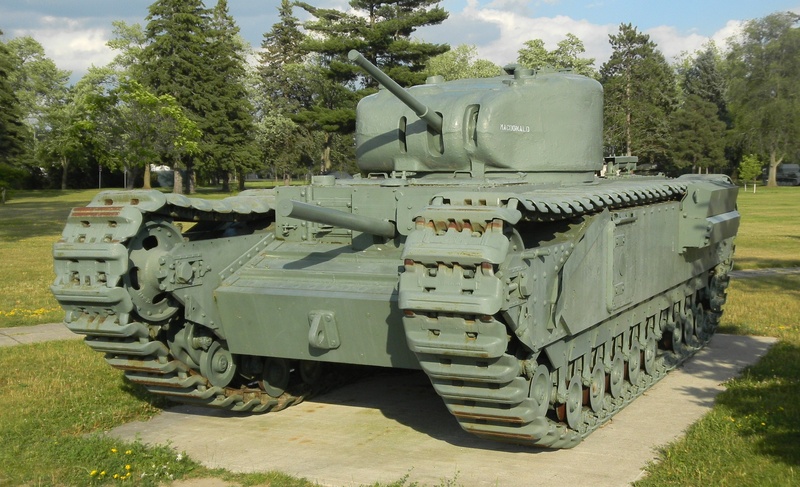 During WW2 there were several different type of Shermans, the most common variant was the M4A1. This is a picture of a M4A1. 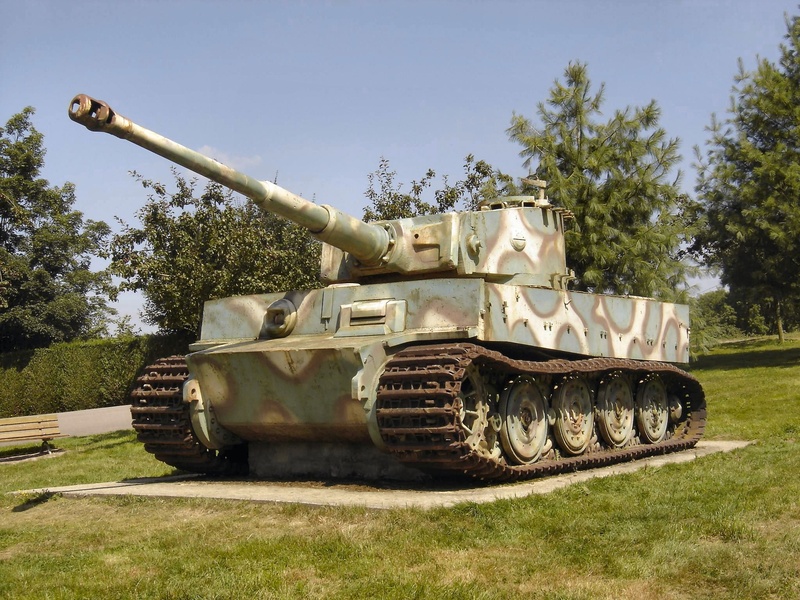 While the M4A1 was a really reliable tank, its armor, and armament were just not enough to compete with their German counter parts, such as the Tiger and Panther. A Shermans 75mm gun could only penetrate a tiger at close range, while the 88mm gun of the Tiger could put a hole in A Sherman from 1,800 meters! 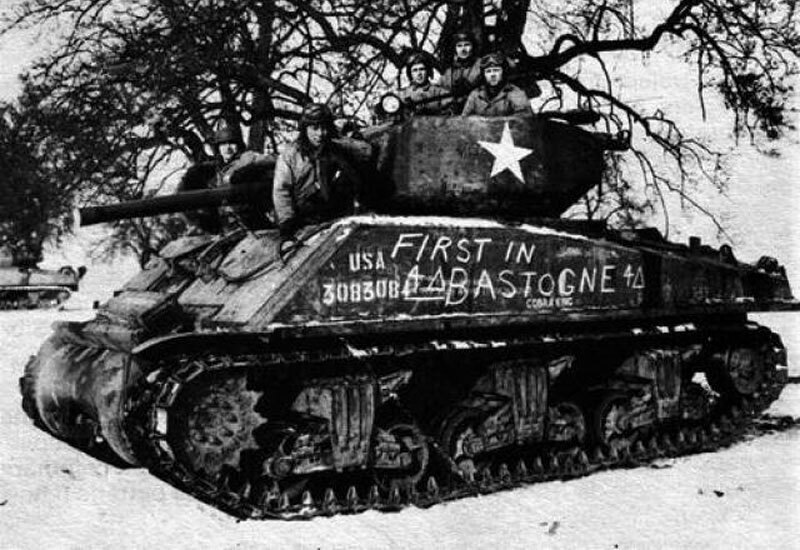 So, the Allies decided to do a little work the their Shermans, the product of their work was the M4A3E2 Sherman Jumbo. 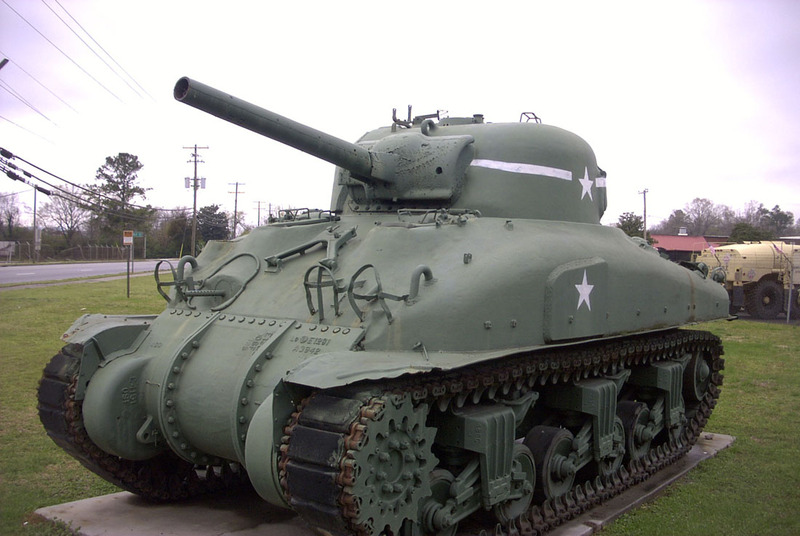 This Sherman was the most heavily armored tank in Uncle Sam’s arsenal! While the first versions of the Jumbo still had the same 75mm gun as the M4A1, it had as much, or more armor than the German Tiger! That’s about 4 inches thick, plus sloping which means that it had more effective armor than the Tiger. 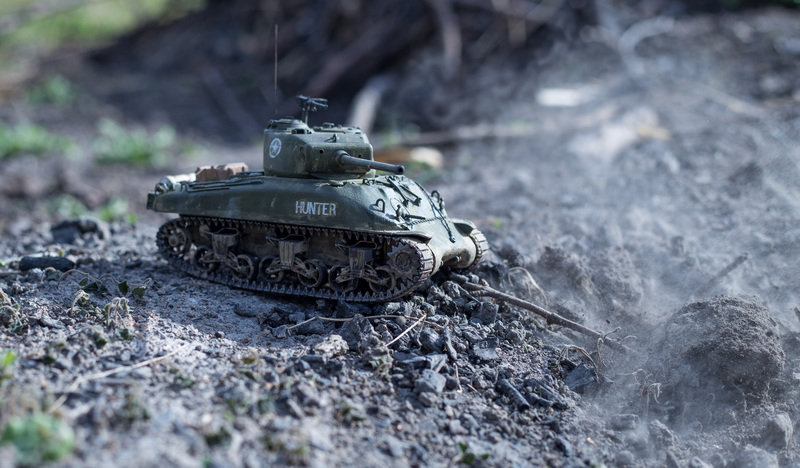 The later models of the M4A3E2 Sherman Jumbo were upgraded with the 76mm high velocity gun, which could penetrate Tigers and Panthers from a safer range. Notice the long barreled 76mm gun. This entry was posted in Uncategorized on September 16, 2015 by zkwh. 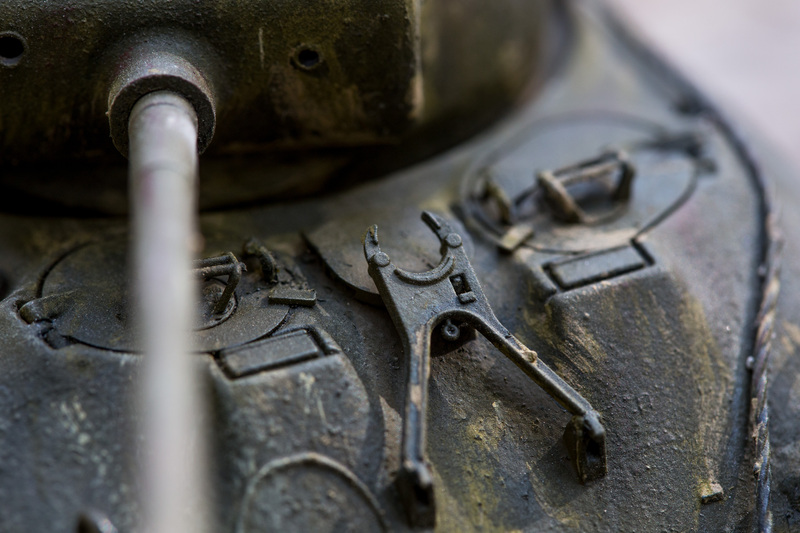 Ever wondered why tanks are called tanks? This is how they got their name. During WW1 the British were working on a top secret project, they didn’t want anybody to know what they were doing. So, when people such as the workers who were making them wanted to know what they were working on, the government told them that they were ‘water tanks’ going to be used in the desert. 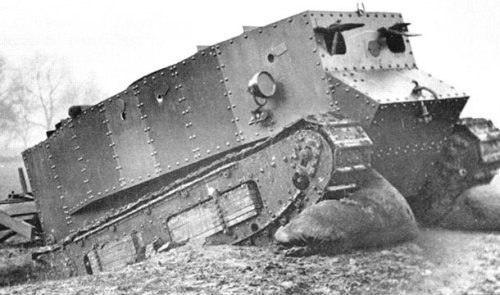 And this is how the tank got its name, originally it was called ‘water tank’ but it was shortened to just ‘tank’. The name stuck, and here we are, one hundred years later calling it the same thing. The first tank is now known as ‘Little WIllie’ here’s a picture of ‘Little WIllie’. 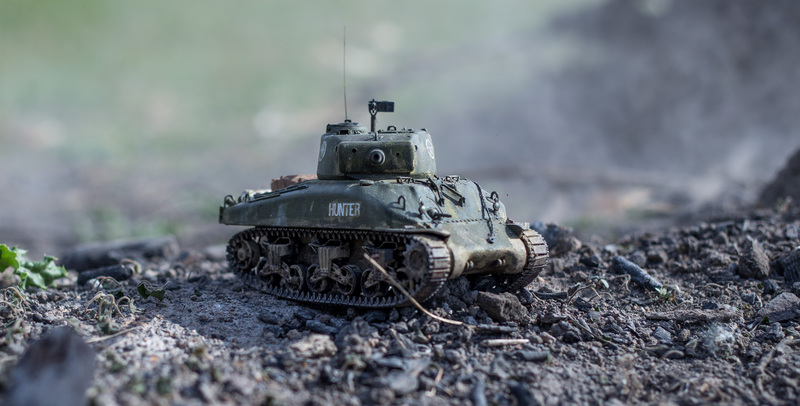 To me this tank doesn’t look like much of a threat, but armed with a machine gun it could be a deadly threat, one that you wouldn’t want to confuse with a harmless little ‘water tank’. This entry was posted in Uncategorized on May 18, 2015 by zkwh. 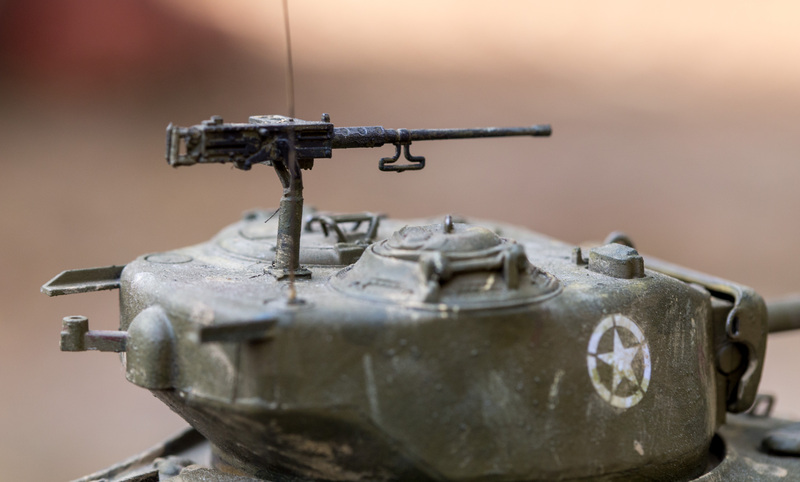 Think you know all the tank terms there are to know? Maybe not, here are some that you might not have heard. 1.Big Boy- A Vietnam radio code used for a heavy tank (usually M48, or M60). 2.Black Can– A Vietnam canister round, containing 1,000 pellets. 3.Char- The French expression for a ‘tank’, meaning chariot. 4.API– Armor piercing incendiary. AP round containing incendiary compound. 6.Spat- self propelled anti tank system. Actually a lot of these terms are new to me too, I learned them from a book. This entry was posted in Uncategorized on April 27, 2015 by zkwh. Hold on tight! 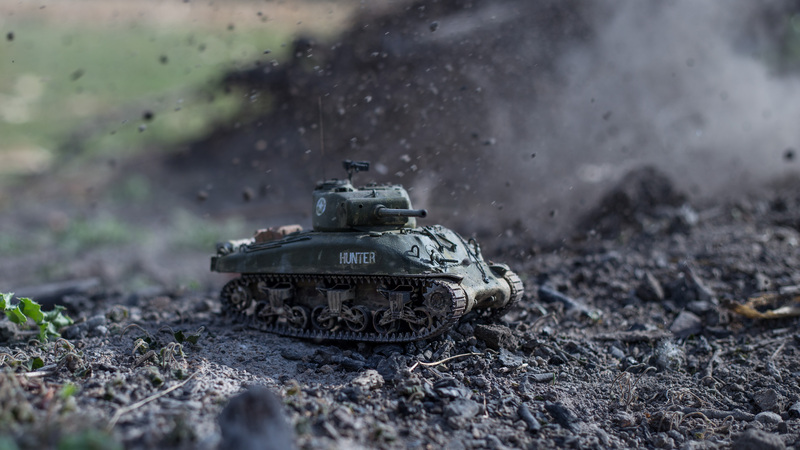 While we rumble through some of WWII’s most famous, and well known tanks. 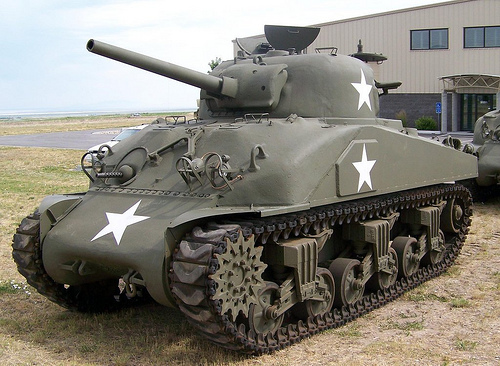 First on the list is the M4 Sherman, American medium tank. 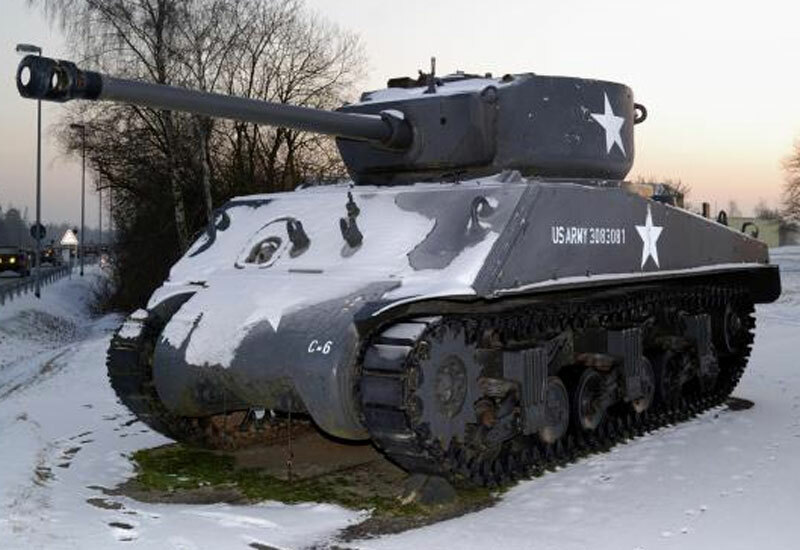 The M4 Sherman is probably the most well known tank of WW2. 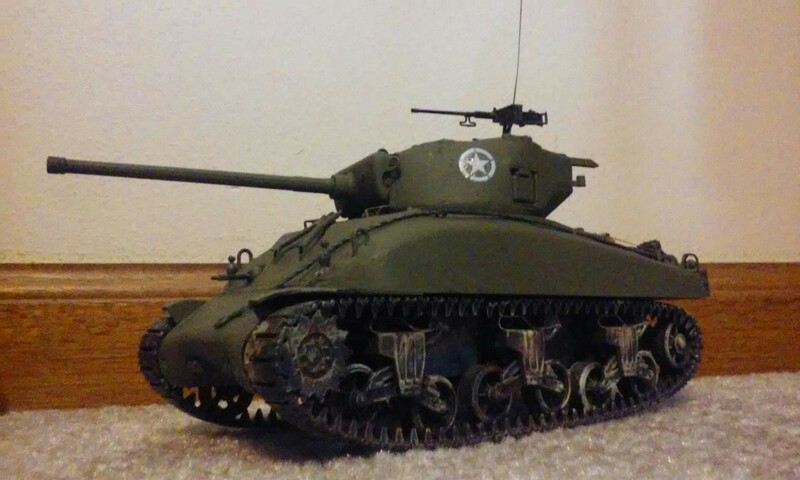 The Sherman was a great tank, it was fast, reliable, and when it first appeared on the battlefield it was well armed for its time. Next on the list would be the German Panzer IV. 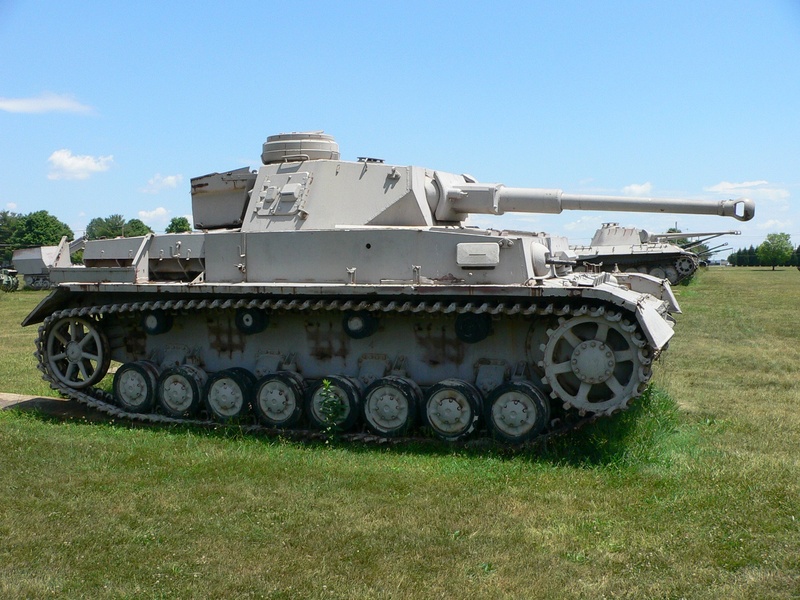 The Panzer IV was the workhorse of the German tank divisions, it proved capable of up gunning, and up armoring, as the the guns shooting at it steadily grew in fire power. Another workhorse was the Soviet T34. 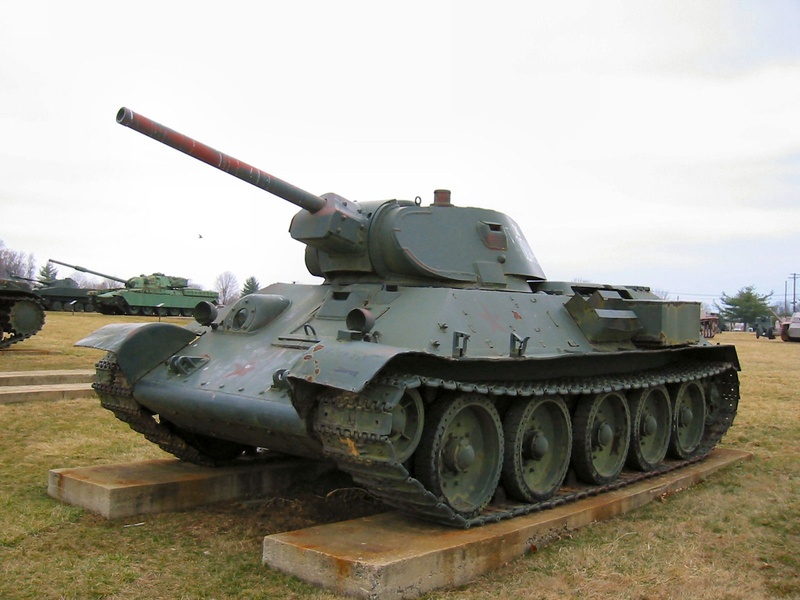 The T34 was an Extremely effective tank design, it was, in fact, a stepping stone to the modern main battle tank. One of the biggest improvements of the T34 over other tanks of that time, was that it incorporated sloped armor. Sloping the armor made a huge difference in armor protection, Because,when you slope it, anything that hits it is going to want to just bounce off. Also, sloping effectively increases the thickness of the armor enabling it to have thinner and lighter armor, with the same amount of protection. I cannot make a list of famous WWII tanks without mentioning the infamous German Tiger. The Tiger was an absolute monster, all allied tank crews feared meeting it on the battlefield. It had amazing fire power with its 8.8 gun, and it was basically impervious to all attack from allied tanks of that time. Last but not least, the British Churchill infantry tank. 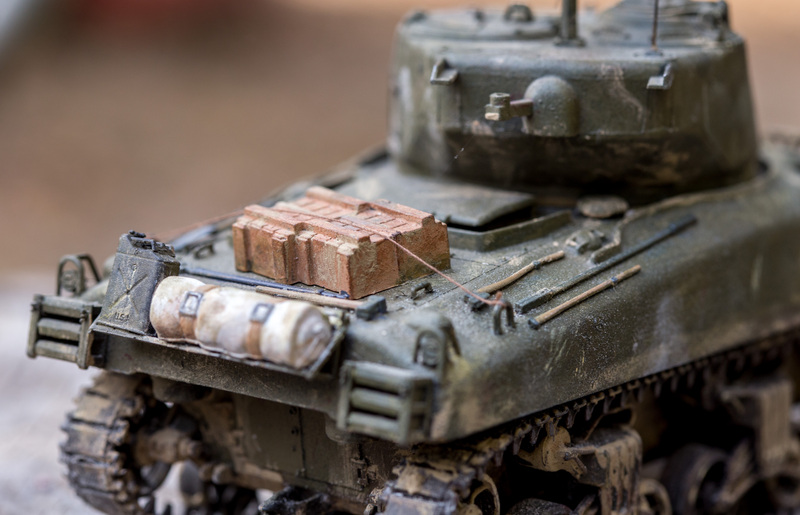 The Churchill was a heavily armored, and lightly armed, but, it proved a very versatile platform that was used for many engineer vehicles throughout the war, and it proved capable of up gunning. I learned most of what I know about tanks from reading, researching, and playing tank games. This entry was posted in Uncategorized on April 20, 2015 by zkwh.